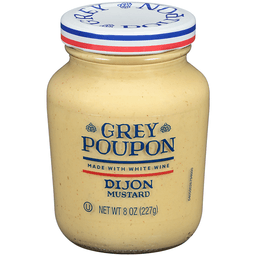 Grey Poupon Dijon Mustard. Made with white wine. Kraft. Please have package available. 1-800-473-4566. Visit us at: greypoupon.com. ©Kraft Foods. We PromiseReal ingredients, great taste, our community. Grey Poupon Dijon Mustard. Made with white wine. 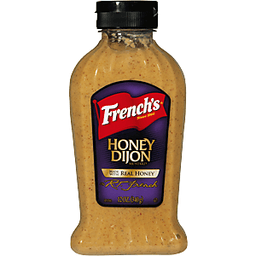 Classic Dijon. Kraft. 1-800-473-4566. ©Kraft Foods. 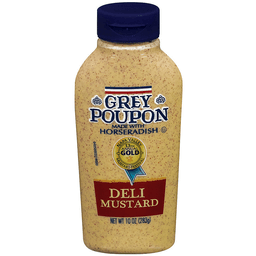 Grey Poupon Deli Mustard. Made with horseradish. Net Wt 10 oz (283 g). 1-800-522-0501. Please have package available. Visit us at: www.greypoupon.com. © Kraft Foods. 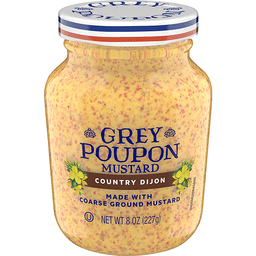 Grey Poupon Mustard Country Dijon. Made with coarse ground mustard. 1-800-473-4566. 100% natural. Since 1852. Contains no MSG/Gluten free. Visit plochman.com for recipes and more information. Questions or comments? Call 800-843-4566. 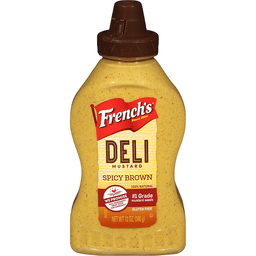 The best mustard 'round. 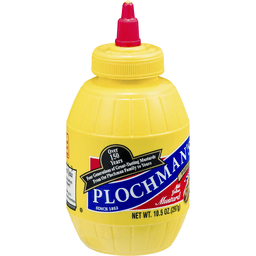 A True Original: In 1883, Moritz Plochman pledged to make first-class mustards only. 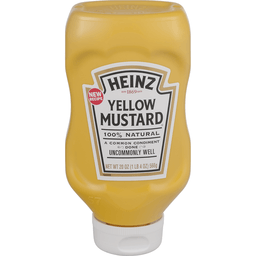 From creating the classic squeeze barrel back in the 1950s to adding new varieties over the years, we've remained committed to making the best mustard 'round. Find ideas and recipes at plochman.com. Made in USA. Est 1869. 100% natural. 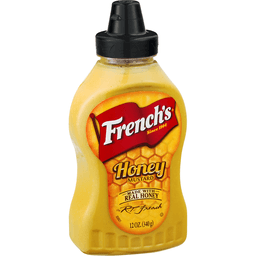 A common condiment done uncommonly well. 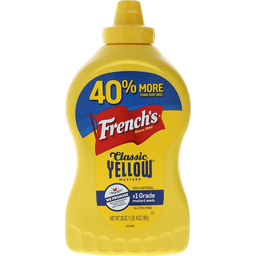 Made with 100% natural ingredients, including stone-ground mustard seeds and a secret blend of spices and vinegar, for the perfect balance of flavor and tang. Heinz, uncommon quality since 1869. - HJ Heinz. Questions or comments? Call 1-800-255-5450. Visit us at: www.heinz.com. 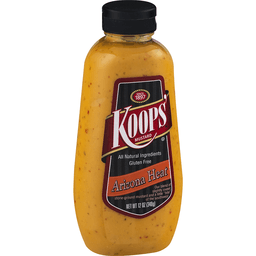 Koop's Arizona Heat - 12 oz. 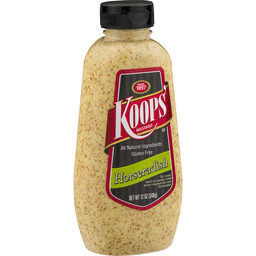 Koop's Mustard Horseradish - 12 oz. 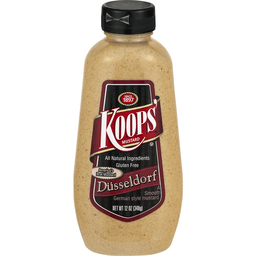 Koop's™ Mustard Dusseldorf Bratwurst Mustard. Since 1897. All natural ingredients. Gluten free. Our smooth German mustard perfectly complements any sausage. There really was a Peter Koops, a young Dutch adventurer who left his shipping business in the Netherlands for a new life in America. He began with a hand-crank mustard mill and a horse-drawn cart, selling mustard by the ladle to loyal customers. Our packaging and delivery systems have changed since then, but our carefully made stone-ground recipes are the same. Certified GF, gluten-free. www.koopsmustard.com.